The BSE Sensex rallied over 400 points on March 26, driven partly by short covering and positive global cues on easing recession fears. Index heavyweight Reliance Industries and banking & financials stocks rallied. The BSE Sensex climbed 424.50 points or 1.12 percent to close at 38,233.41 after a correction in two straight previous sessions. The Nifty 50 surged 129 points or 1.14 percent to 11,483.30 and formed a bullish candle on daily charts. “A long bull candle was formed that has filled the opening down gap of last session at 11,435 levels. Technically, this pattern is signaling a sharp comeback of bulls in the market,” Nagaraj Shetti – Technical Research Analyst, HDFC Securities told Moneycontrol. He said Monday’s swing low of 11,311 levels could now be considered as a new higher bottom of the sequence. As per this pattern, one may expect Nifty to move up further and cross above the recent swing high of 11,572 levels in the next few sessions, according to him. 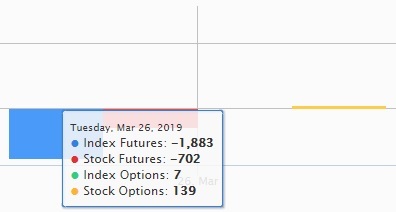 Shabbir Kayyumi, Head of Technical Research at Narnolia Financial Advisors said volume had been higher than Monday giving hope to bulls. “Nifty needs to trade decisively above 11,520 to confirm the end of the recent sharp fall. Until then 11,310 is key trend decider on the lower side and 11,300-11,600 is the range for Nifty,” he added. 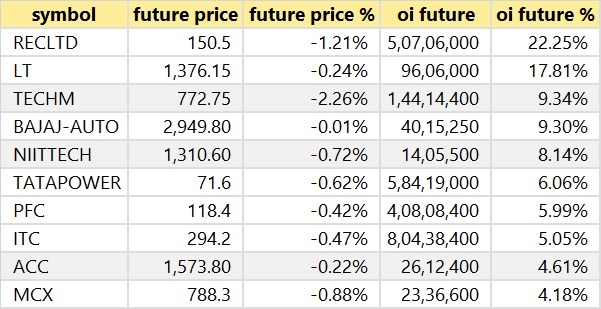 The broader markets also gained a percent while all sectoral indices closed in the green barring Nifty IT. 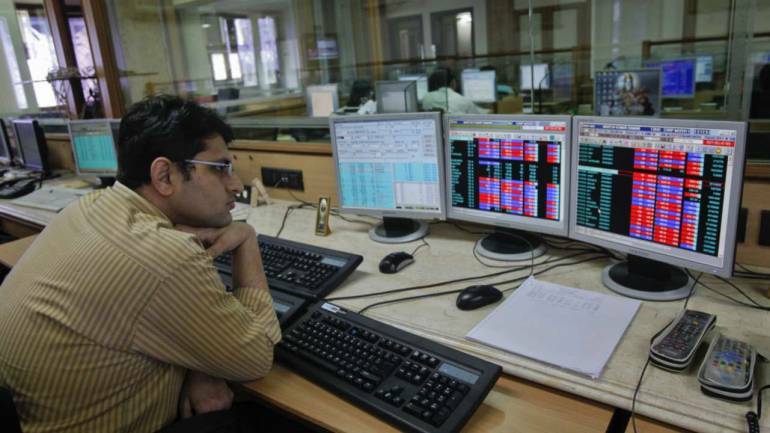 The Nifty closed at 11,483.25 on March 26. According to the Pivot charts, the key support level is placed at 11,391.53, followed by 11,299.87. If the index starts moving upward, key resistance levels to watch out are 11,535.83 and 11,588.47. The Nifty Bank index closed at 29,882.15, up 600.95 points on March 26. The important Pivot level, which will act as crucial support for the index, is placed at 29,457.07, followed by 29,031.93. On the upside, key resistance levels are placed at 30,128.77, followed by 30,375.33. 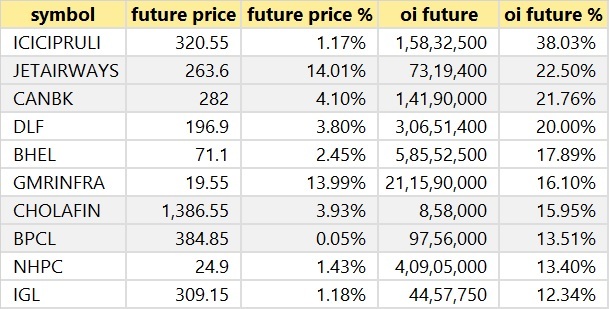 Maximum Call open interest (OI) of 29.98 lakh contracts was seen at the 11,500 strike price. This will act as a crucial resistance level for the March series. This was followed by the 11,600 strike price, which now holds 24.39 lakh contracts in open interest, and 11,700, which has accumulated 23.90 lakh contracts in open interest. Call unwinding was seen at the strike price of 11,600 that shed 11.07 lakh contracts, followed by 11,400 strike that shed 8.23 lakh contracts and 11,500 strike, which shed 5.35 lakh contracts. Maximum Put open interest of 32.15 lakh contracts was seen at the 11,000 strike price. This will act as a crucial support level for the March series. This was followed by the 11,400 strike price, which now holds 30.06 lakh contracts in open interest, and the 11,300 strike price, which has now accumulated 26.48 lakh contracts in open interest. Put writing was seen at the strike price of 11,400, which added 10.82 lakh contracts, followed by 11,500 strike that added 7.75 lakh contracts. Put unwinding was seen at the strike price of 11,200, which shed 4.77 lakh contracts, followed by 11,000 strike that shed 2.86 lakh contracts and 12,000 strike that shed 1.53 lakh contracts. Foreign Institutional Investors (FIIs) bought shares worth Rs 999.02 crore while Domestic Institutional Investors (DIIs) sold Rs 196.7 crore worth of shares in the Indian equity market on March 26, as per provisional data available on the NSE. 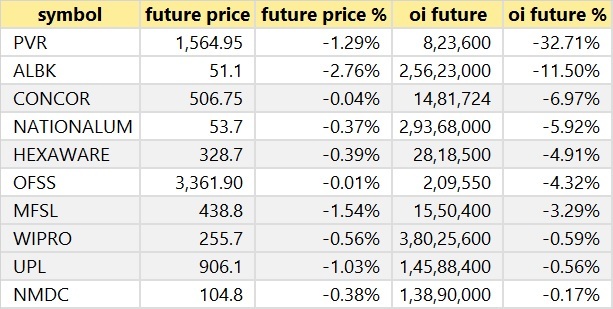 For March 27, Adani Enterprises, Adani Power, IDBI Bank, Jet Airways and Reliance Power are present in this list.